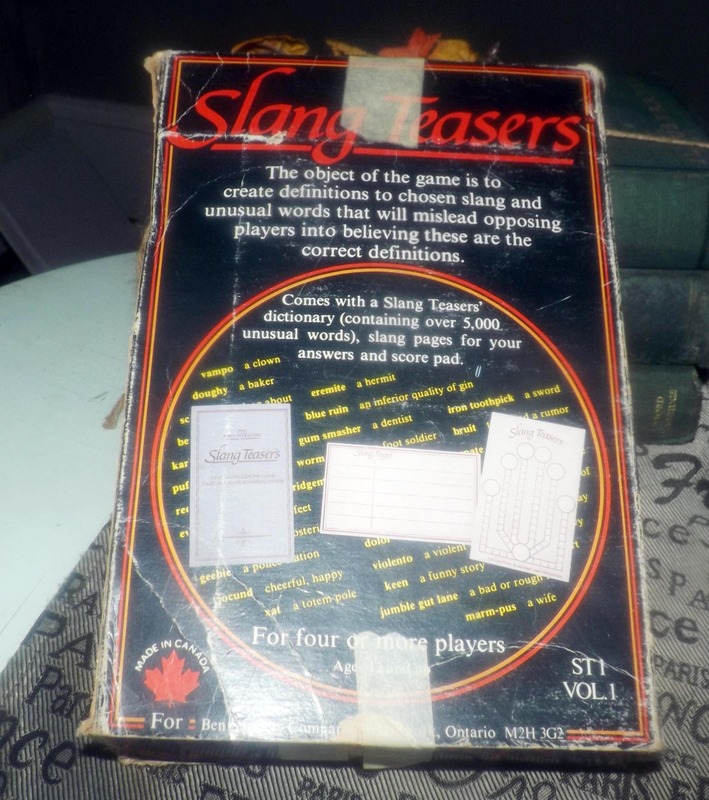 Vintage (1983) 1st edition Slang Teasers word and definition bluffing game published in Canada by Aardvark Games | Ben Sanders. Complete. 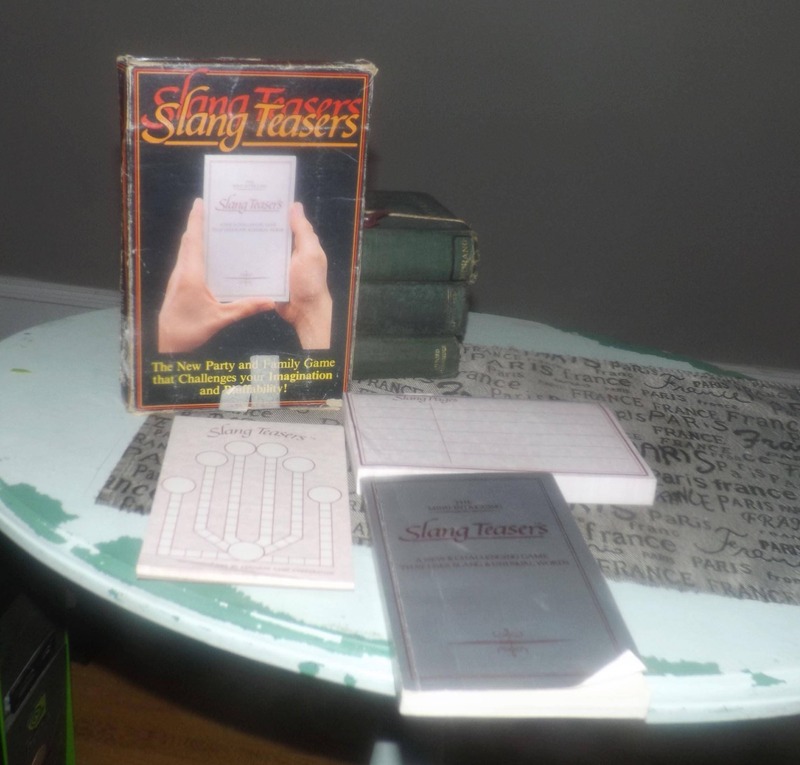 THIS GAME HAS BEEN INVENTORIED AND IS 100% COMPLETE. 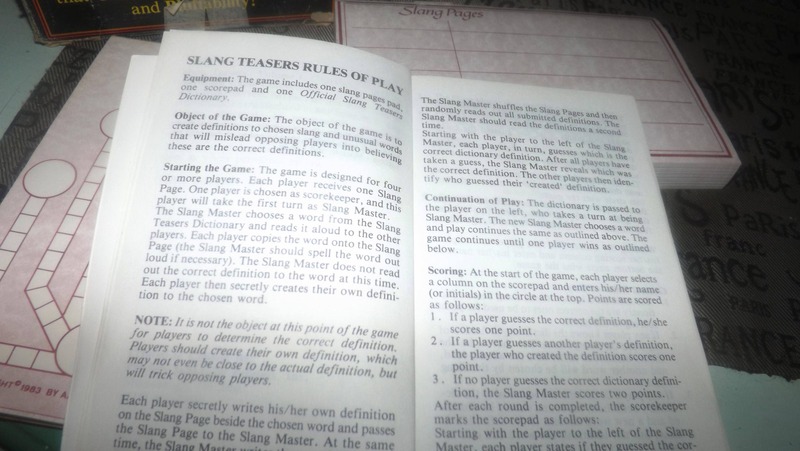 Game overview (boardgamegeek.com): A version of a popular dictionary game where players use the included dictionary of slang and make up definitions of any given word. 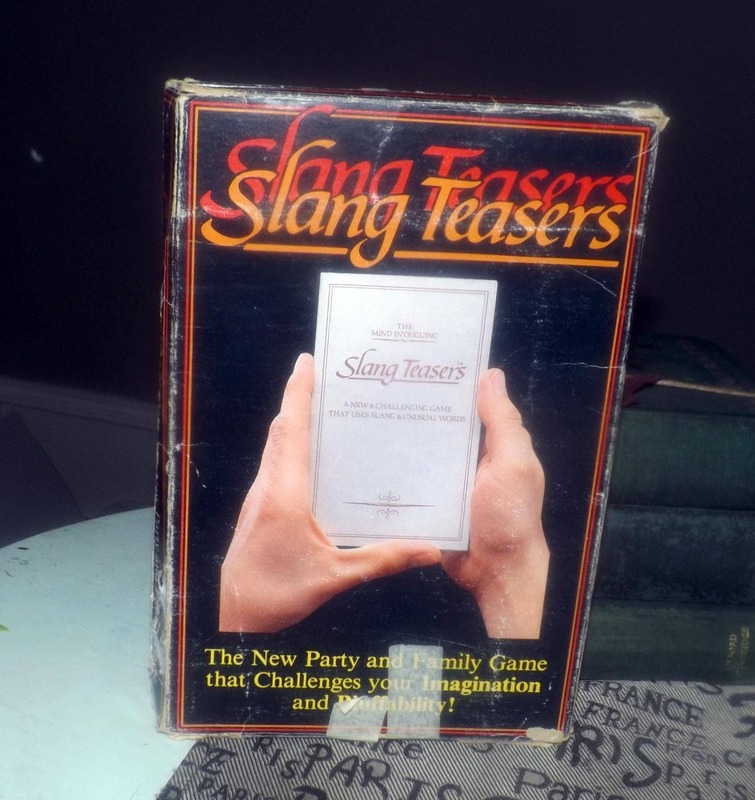 The real definition is provided in the book and players score points by guessing which is the real definition of a word and which is the other player's bluff. 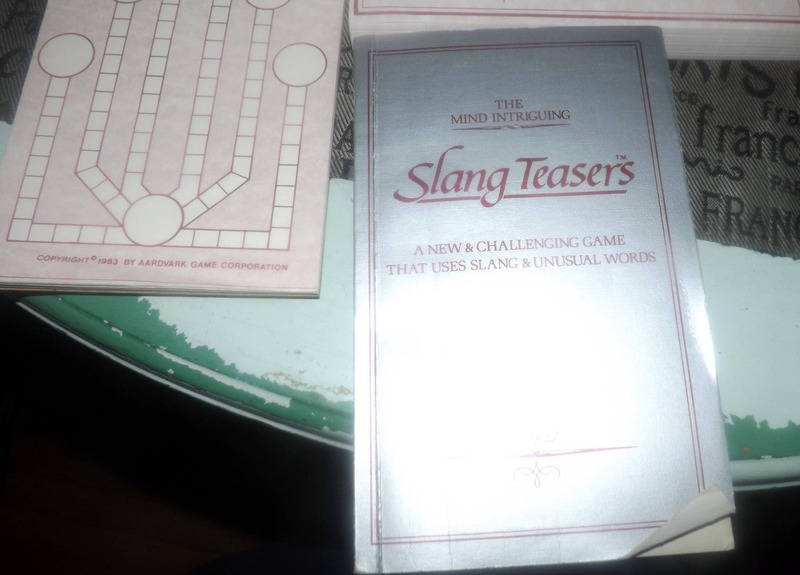 Game condition: The Slang Dictionary is complete but has dog-eared corners and cover. 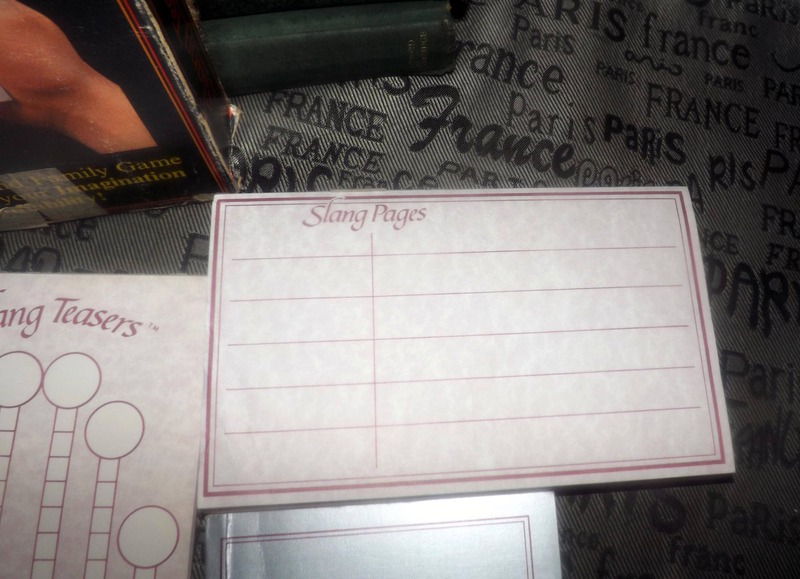 All text is clear and legible. 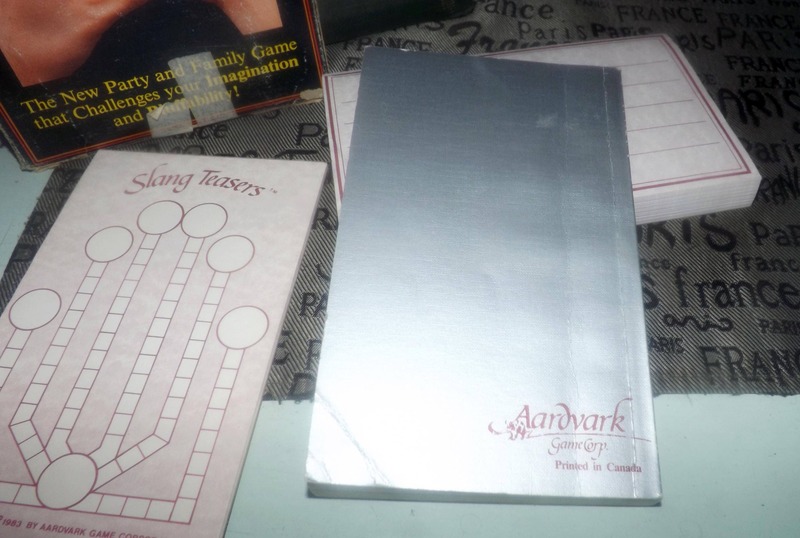 The game pads are in good supply and are clear and legible. 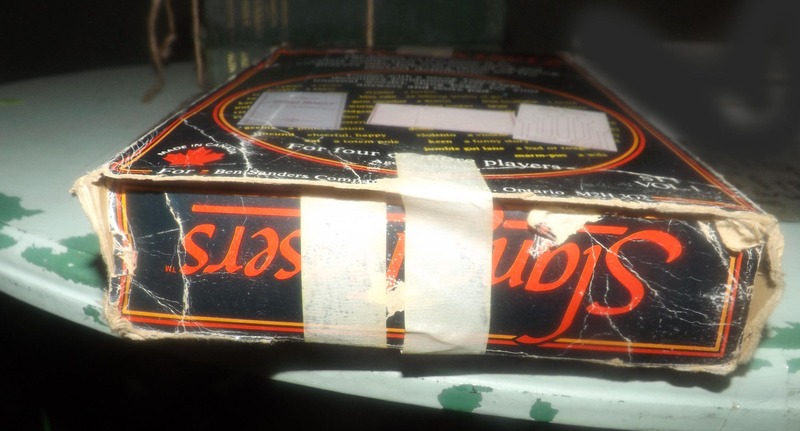 Game box has significant shelf wear, crumpled spots and torn corners which have been covered over with tape. 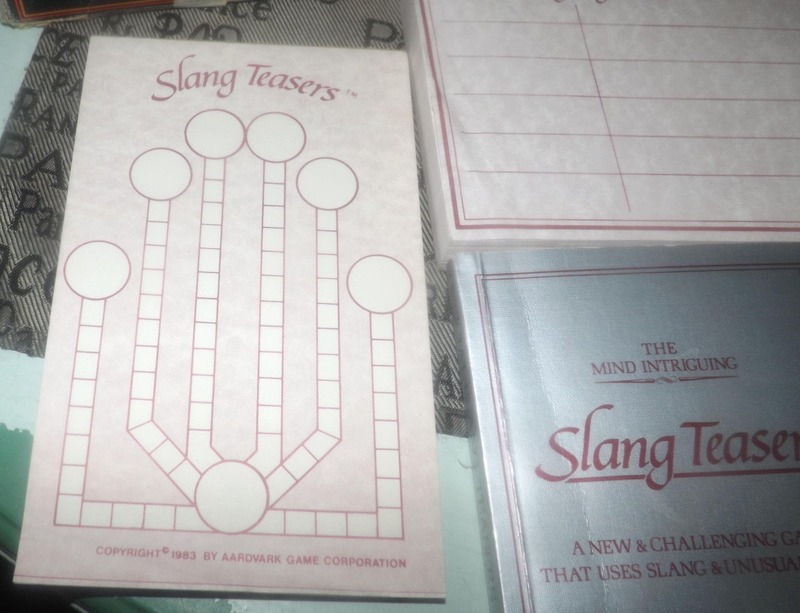 Game box does hold together well.